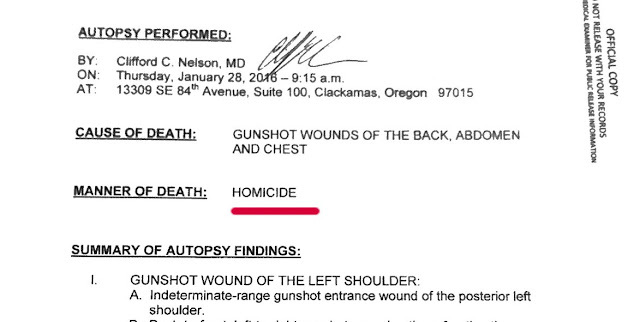 The Lame Cherry is not going to invest a great deal of explanation in this exclusive in matter anti matter from the official records of the investigation on LaVoy Finicum's murder, but to simply point a reality out, that all of you have witnessed LaVoy Finicum dropping his hand to HIS SIDE, and this has been seen on the drone footage. It is the reason the FBI was trumpeting through Special Agent Gregory Bretzing that Mr. Finicum was reaching for a gun. There is a problem in this though according to Deschutes County official investigative report on this weapon AT THE CRIME SCENE. I will blow up the pertinent part as you will be too lazy to look at the photo. The crime scene photo states IT WAS THE RUGER 9 MM FOUND IN THE LEFT BREAST POCKET) of LaVoy Finicum's jacket. The drone footage shows Mr. Finicum with his hands at his hip in the claimed grabbing for a weapon, and NOT ON HIS CHEST where this gun was supposedly located. This is absolute proof from the drone footage which we all have witnessed that LaVoy Finicum never reached for any weapon, and I will repeat that David John Oates of Reverse Speech recorded Mr. Finicum telling police "I HAVE NO WEAPON". 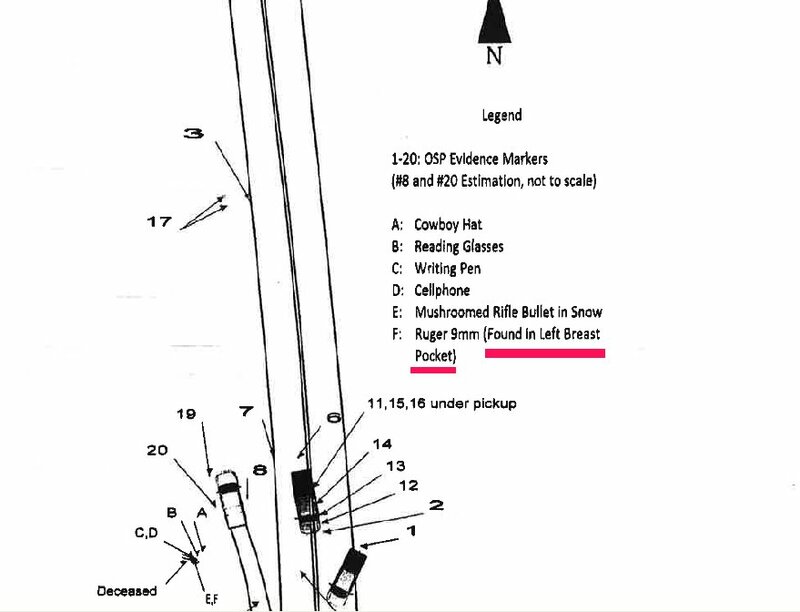 LaVoy Finicum was unarmed, and whoever planted this gun in his jacket had no idea a drone was recording the entire situation in revealing that Mr. Finicum never attempted to unbotton this blue jean jacket nor was it ever unbuttoned to reach for a weapon there......which never did exist there, as it was a cardinal rule according to Shawna Cox that no one brought weapons to any meetings. There are lies all throughout this cover up in the murder of LaVoy Finicum. 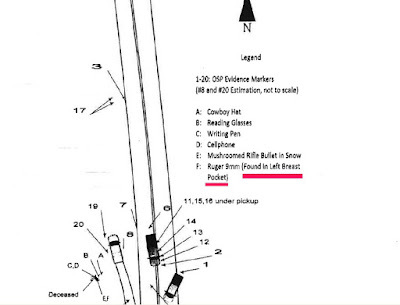 There are currently numerous FBI agents from that Oregon murder who know that this weapon was planted, and by the coordinated statements of Oregon State Police, it is evident that they did not care to look too closely at where that weapon appeared, but changed their testimony in lying to their diaries to fit their version, but the fact is the drone footage never shows Mr. Finicum ever unbuttoning his jacket or putting his hands on his chest. Remember the full account from the FBI and Oregon State Police that LaVoy Finicum DROPPED HIS HANDS.......you do not drop your hands to your side, to reach for a gun that is on your inside breast pocket. 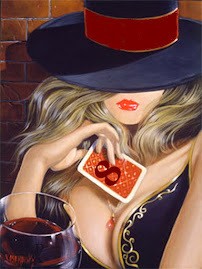 I do not know if this investigative work is ever going to expose anything in making these criminals to be brought to justice, but the Truth must be posted or work it's way from the grave, as LaVoy Finicum must have Justice and Americans must have Justice or they will all end up dead like LaVoy Finicum, smeared in death.